Fast-pumping tunes can really motivate you to push through tough workout routines, but there's more to choosing the best headphones than you think. The Online Journal of Health and Allied Sciences found that headphone use radically increased the amount of bacteria brewing inside the ear and 92 percent of earphone sharers also shared harmful bacteria. Pick a pair you like and keep them to yourself! And to keep your ears in top shape, make sure you swab your earphones with rubbing alcohol every other time you wear them. 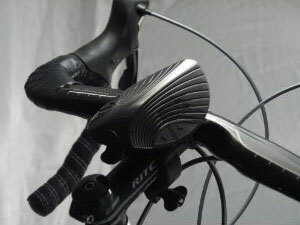 Keep the application light to prevent damage. Want to listen to music during a water workout? 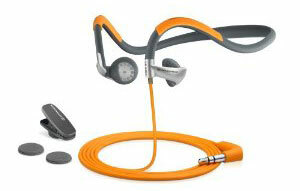 Consider wearing h2o audio's Surge Sportwrap Headphones ($60). The patented technology of these waterproof headphones keeps them working up to 12 feet under water, but keep in mind that you'll need to find a waterproof MP3 player or armband as well. 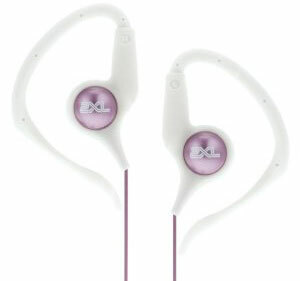 You can also safely rinse out these earphones after use to eliminate bacterial growth. Runners seeking the extra protection of additional reflective decals and the comfort of an ergonomically designed headset should wear Sennheiser's PMX 80 Neckband ($55 ). 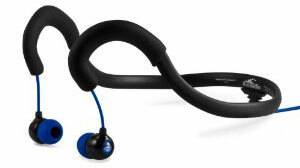 Water-resistant and sweat proof, this sturdy headset fits perfectly around the back of the head and stays place during rigorous workouts. You want to focus on your cardio workout routine, not your earphones, so you need something sturdy, lightweight and soft. 2XL's GROOVE Hanger Bud Bunny ($15 ) headphones sit perfectly in your ear and have non-slip hangers to softly cup your skin. If you want to share music with teammates to fuel the warm-up, this ultra lightweight portable sport speaker by cy-fi ($150) is perfect. Just hook up these oddly shaped cordless speakers to your iPod or MP3 players and they should last for more than 6 hours. 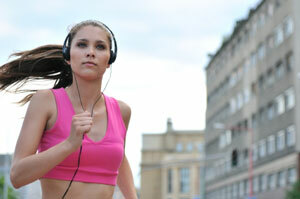 These headphones seem cool, when I listen to music and run outside, the earbuds always come out. The Skull Candy headphones are good too though, and not too expensive.